Starting from Scratch Archives - Joelle Delbourgo Associates, Inc.
Happily settled in the Rochester, NY, area with her husband and two young sons, Susan Gilbert-Collins is always a little homesick for her home state of South Dakota. That’s probably why a lot of her fiction is set there, including her first novel, Starting from Scratch (Touchstone at Simon & Schuster, 2010). Olivia, the youngest of four high-achieving siblings, resists family pressure and at first wants only to bury herself in her mother’s kitchen, finding solace in their shared passion for cooking. But as a family secret comes to light and startling announcements are made by two of her siblings, she finds herself drawing on her mother’s memory and spirit to navigate the shifting family dynamics. Gilbert-Collins’s short fiction has often explored loss as well and has appeared in Confrontation, The Greensboro Review, Prairie Schooner, Alabama Literary Review, and Kansas Quarterly/Arkansas Review. Her stories have been finalists in Glimmer Train competitions and nominated for a Pushcart Prize. 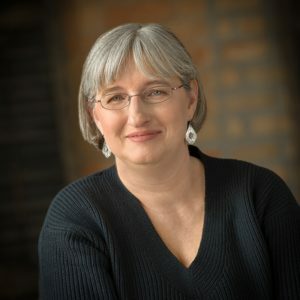 Along the way, Gilbert-Collins has freelanced in technical writing and test development, taught English as a Second Language, worked briefly in grants and development, and studied at Oberlin and the University of Minnesota to put off the inevitable (a real job). And before any of that, she spent the summer between high school and college as the worst pizza deliverer in the history of South Dakota. Novelist Susan Gilbert-Collins, author of the delightful novel, Starting from Scratch, shared with us what she’s reading now.